It’s a new month, and we have a new photograph on our monthly calendar to warm your hearts as the cold sets into the valleys and settles in for the winter months. 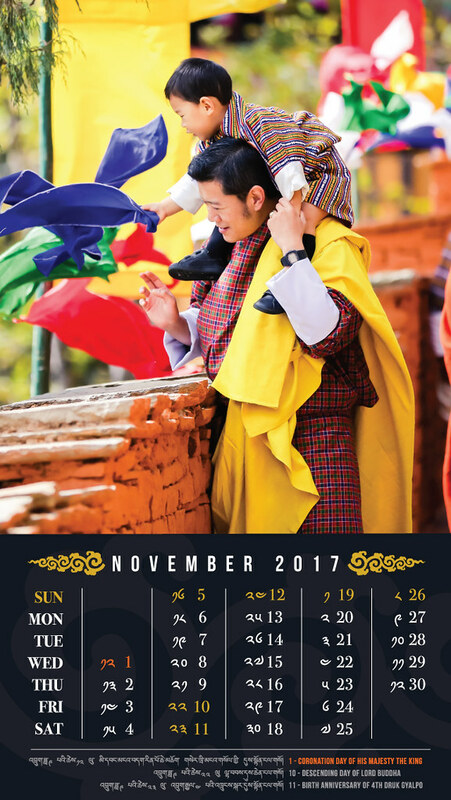 This wonderful photograph was taken at the Dechenphu Lhakhang, which is a sacred temple dedicated to Ap Genyen, one of the most important protector deities of Bhutan, on 30th October, during the Dechenphu Tshechu, which is a festival dedicated to the deity. 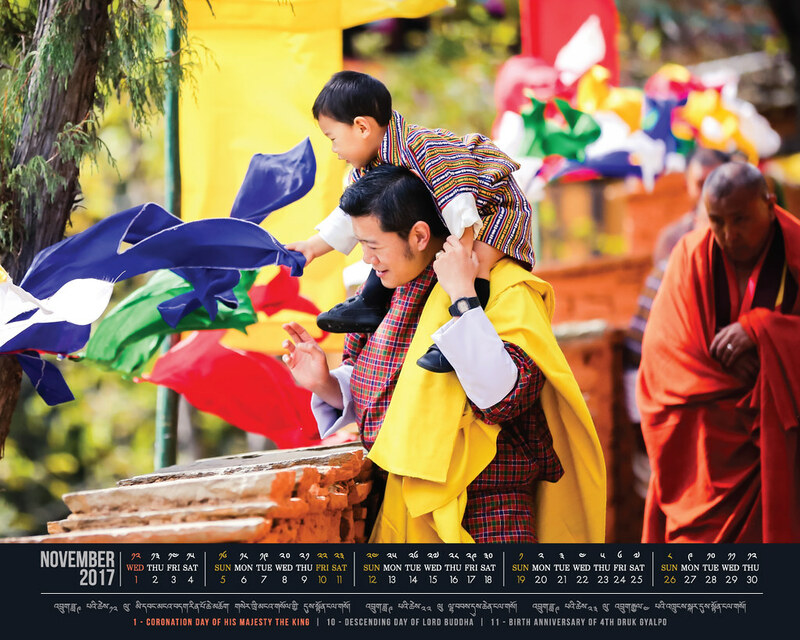 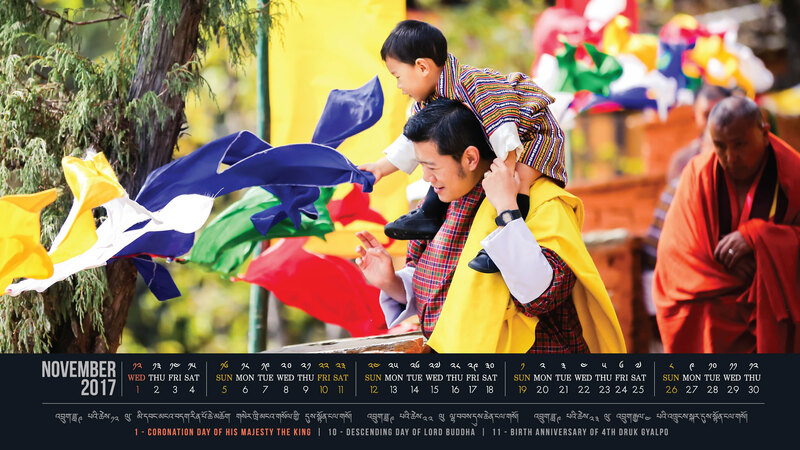 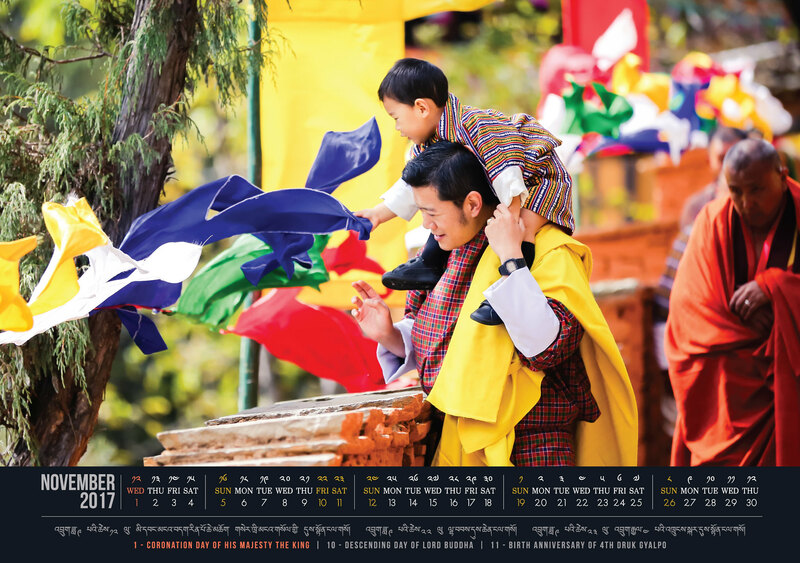 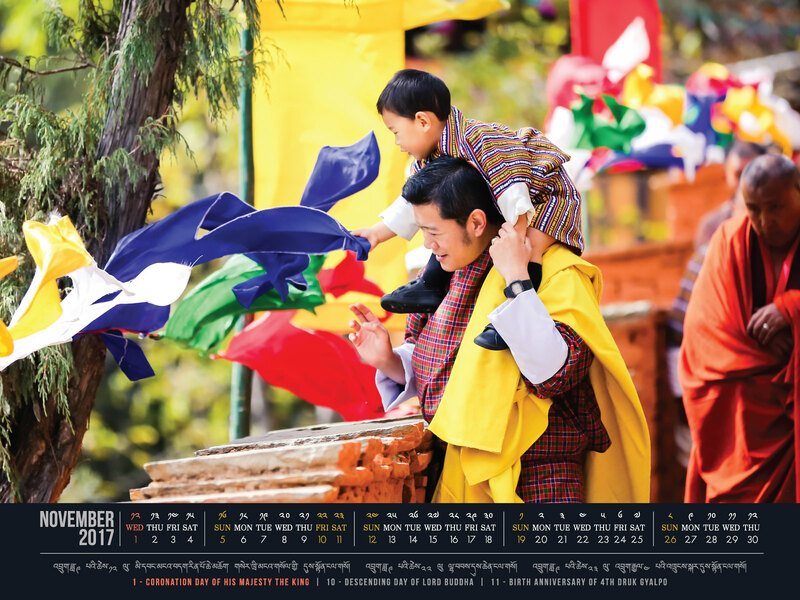 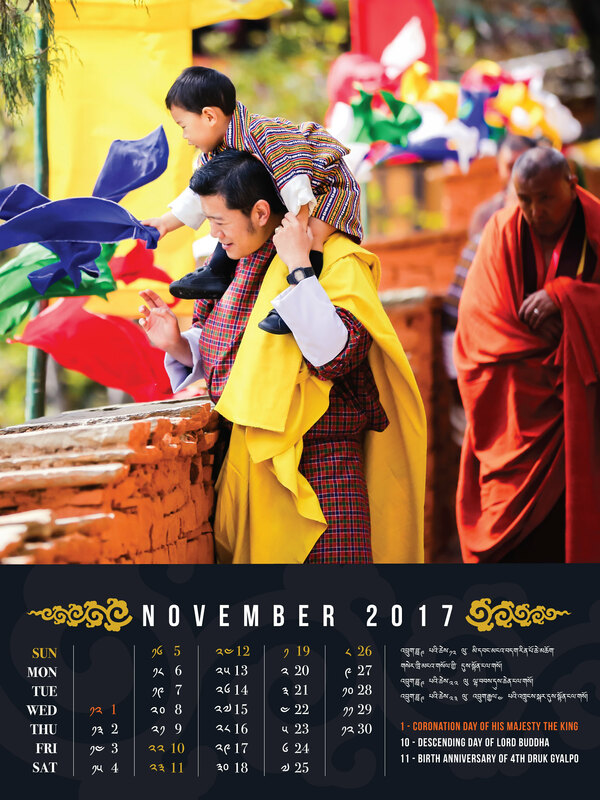 We dedicate this month’s calendar to the commemoration of Coronation Day on 1st November, and the birth anniversary of His Majesty Drukgyal Zhipa on 11th November. To set it as your wallpaper, go to settings, tap “wallpaper” (tap Display and then Wallpaper on Android) and choose the calendar to make it your home screen, lock screen, or both. 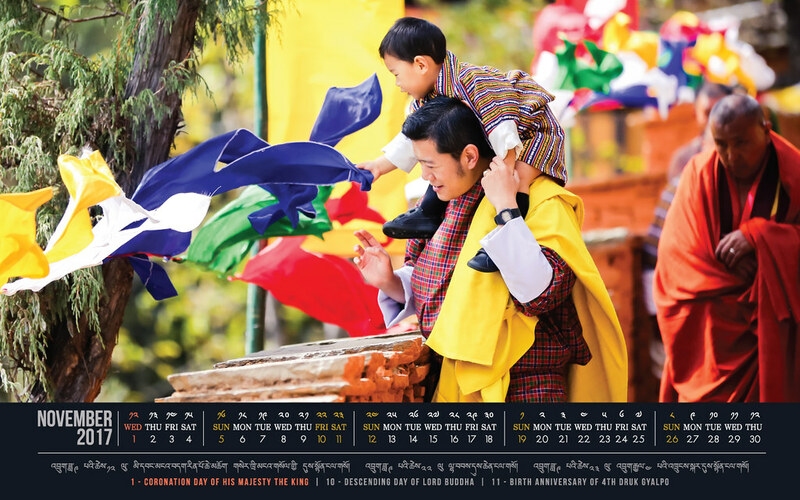 The historic event in Bhutan History 1907, when His Majesty the Ugyen Wangchuck succeeded to the throne.